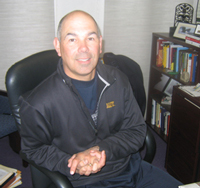 Michael Jaromin joined the University in 1989 and has served in many roles in Student Affairs since that time. A dedicated Student Affairs professional, he was appointed the Director of Student Involvement in 1999 and truly enjoys working with all of the diverse student leaders on campus. Mr. Jaromin has been trained by Project Adventure, Inc. and designed and presented many original workshops for student leaders. He is dedicated to enhancing the extra-curricular program for students through quality advisement, services, programs, and leadership development opportunities and has made it the mission of the Office of Student Involvement to try and get as many students as possible involved in the life of the campus. Mr. Jaromin received his bachelor of arts degree from the College of the Holy Cross and his master of arts degree from the University at Albany. Pamela joined the Division of Student Affairs in 2006 and has held various roles on campus. As Director of Student Activities, Pamela is committed to the student experience and passionate about providing opportunities for UAlbany students to get involved on campus. 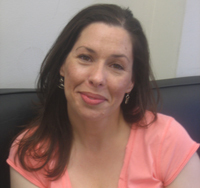 She holds a bachelor of arts degree in English literature from UMass Dartmouth and a master of Art degree in education administration and policy study from UAlbany. 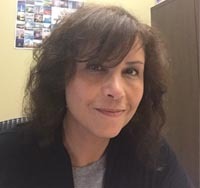 Pamela holds memberships in Omicron Delta Kappa National Leadership Honor Society, National Association for Campus Activities, and NASPA - Student Affairs Administrators in Higher Education. Pamela loves meeting new students and helping them find their involvement so stop in and say hi! A proud UAlbany alum, Jennifer joined the Department of Student Involvement in 1998, and has had the opportunity to support student involvement through a variety of assignments during this time. 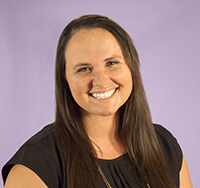 In her current role as Associate Director of Student Activities, Jennifer oversees the Student Organization Resource Center and UAlbany Event Tickets, where she provides support for student organization management, new group development, event-planning and risk management. In addition, she has the privilege of coordinating the annual Welcome Candlelighting Ceremony for new students. Prior to joining Student Involvement, Jennifer worked for Alumni Affairs at Albany Law School and the Office of Community Relations and the Office of Orientation at the University at Albany. 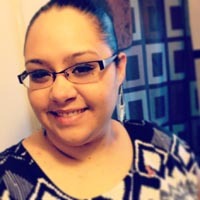 Arleny Alvarez-Peña, a two time alumna of the University at Albany, joined our Student Involvement team in September 2013. She oversees all recognized fraternities, sororities, and social fellowships at the university in addition to providing leadership development, and serving as a resource to the diverse student population and advocating for their concerns. Arleny received her bachelor in arts in English and Africana studies and her masters in science in educational administration: policy and law studies. Prior to returning to the university Arleny was the Director of Intercultural Leadership at The College of Saint Rose. Ashley Walker joins the Office of Student Involvement as the Assistant Director of Programming, overseeing the UAlbany Programming Board to organize and produce events that enhance the student experience here at the University at Albany. Ashley joins the office after working with the Department of Residential Life for 10 years in the roles of Resident Assistant/Senior Resident Assistant, Graduate Assistant, Resident Hall Director, and Apartment Coordinator. As an Apartment Coordinator, Ashley was also Programming Director for the University Apartments – the role that would increase her passion for event planning. Along with event planning, she is also passionate about assisting with the personal, professional, and academic success of students as well as other professionals, serving as a mentor to many individuals she has met and/or worked with. Ashley has received her bachelor’s degree in sociology and master’s degree in Africana studies from the University at Albany. Dawn has worked within the finance/budgetary area on college campuses for well over a decade. While at Rensselaer Polytechnic Institute she held the position of Budget Manager within the Campus Planning Department, and more recently managed all finances for The College of Saint Rose's Student Association. Dawn received her bachelor's degree in business from SUNY Oswego. As Financial Manager in the Office of Student Involvement, she manages the budget for OSI and the UAlbany Programming Board and lends her expertise to Student Association and the Graduate Student Association. Nick serves as the Financial Graduate Assistant within the Office of Student Involvement (OSI). He provides financial guidance and support to the Student Association, Graduate Student Association, Fraternity & Sorority Affairs, and other departmental student groups, while also providing support to the maintenance of OSI's internal budget. Nick gained vast financial experienced serving as the former treasurer for the National Association of Black Accountants (NABA) and the Comptroller for the UAlbany Student Association. He has also interned multiple summers at JP Morgan Chase in NYC. Nick recently earned his B.S. in accounting from the University at Albany and will be pursuing a M.S. in professional accountancy. Nick is an avid basketball fan and his favorite team is the New York Knicks. Danielle became part of the Great Dane family in 2014 as a freshman at the University at Albany! In her first semesters she became actively involved on campus engaged in various student organizations and leadership positions. Some of these experiences in her undergraduate years included serving as the Equity and Diversity Chair for Middle Earth and being a Peer Career Advisor in the Office of Career and Professional Development. 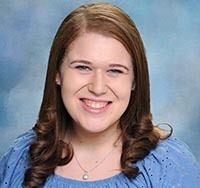 In her junior year, she joined the Office of Student Activities team working in the Student Organization Resource Center advising students on planning programs and events. In her senior year, and now as a graduate student she continues to work in the Office of Student Activities and specializes in event planning! Some of the events that Danielle plans is Great DANEtopia, Council of Presidents Receptions, and Great Dane Game Day. Danielle also plans the UAlbany Dance Marathon - an annual event that raises money for the Bernard and Millie Duker Children’s Hospital at Albany Medical Center. Danielle looks forward to continuing her work in the Office of Student Activities as she furthers her education pursuing a M.S in higher education. My name is Viterbo but I go by Vito. I am 23 years old and live on beautiful Long Island. I am currently going into my second year of grad school at UAlbany. I graduated from undergrad in May 2017 with a bachelor’s degree in marketing and management. I am currently majoring in interpersonal and intercultural communication. My college education was achieved through three different universities, one being overseas in the beautiful city of Sao Paulo, Brazil. I have a passion for my field and would love to be able to work doing intellectual copywriting and digital/ international marketing post grad school. I currently intern for Viacom doing digital marketing/ social media marketing. 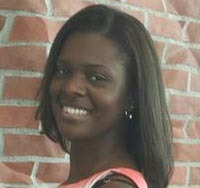 Devanté is a second year graduate year student in Public Administration from Harlem, New York. In his first few semesters at the university, Devanté has joined Student Association and Middle Earth. 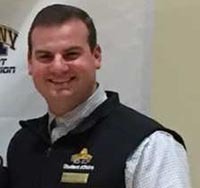 During his undergraduate year, he has worked with multiple departments throughout the university such as Residential Life, Campus Center Connections, and Campus Recreation. Devante is also a proud alumnus of the University at Albany. He received his bachelors in English, History, and AAFS. He is now currently pursuing his Masters in Public Administration with concentrations in homeland security and nonprofit management. During Devante’s spare time, he loves playing and watching sports, reading biographies, and writing poetry. Ray has been a part of the Student Activities team for several years, first as a Graduate Assistant and now as Coordinator. 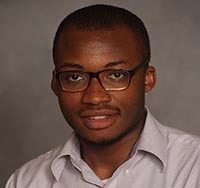 In his role as Coordinator for Student Activities, Ray is a resource to the diverse array of student organizations and their leadership at UAlbany and oversees daily operations of the Student Organization Resource Center. He also works as a liaison and advisor to the student governments here on campus, the Student Association and the Graduate Student Association. He advises the student leaders on their constitution and bylaws, internal policies, elections, budgeting, and Robert's Rules of Order. He also coordinates training's, registrations, and events with both student governments and student organizations. Ray is a proud alumnus of the University at Albany, earning a B.A. in Political Science and an M.S. in Educational Policy and Leadership. 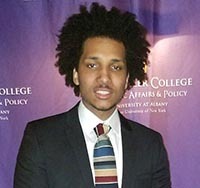 He is now a doctoral student studying U.S. Education Policy and Politics at UAlbany. 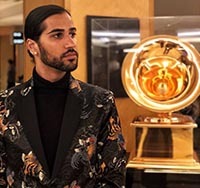 While he loves Great Danes, he is the proud owner of two Golden Retrievers.